I am trying to put together a nice fall Route 66 cruise. 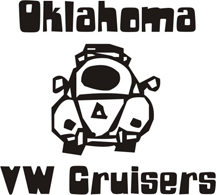 We will be leaving OKC on Friday afternoon and stay in Tulsa Friday night ( have not found accommodations yet). Then will leave Tulsa Saturday morning and just take our time driving to Carthage. The plan is to stop at any roadside attractions or museums we see along the way. I have found a motel for the night on Saturday for those who want stay there, or if there is those who don't I am sure we can find a camping area near by. Please let me know if you are interested in coming.